The First Meetup of the Victorville/Adelanto Scrapbooking Group was a huge success. There was 7 wonderful ladies in attendance and we had a great time getting to know each other. 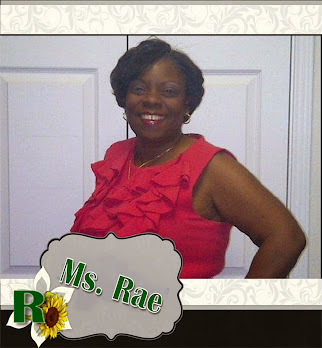 Ms. Rae is an accomplished Scrapbook/Stamping instructor, designer and Scrapbooking artist with a focus on helping YOU learn the art of Scrapbooking, Stamping and Paper Crafting while having fun. I have been scrapbooking for over 20 years when I designed my first Creative Memories album for my daughter when she was in Kindergarten. I have been stamping way before that when I first picked up my first Stampa Barbara and Hero Arts stamp back in college and began making cards for everyone. I love this craft in which I teach and design for others at local craft stores, scrapbook stores, in homes, and scrapbook/stamping shows. I am a computer programmer that love to do almost anything on the computer. I have been incorporating my computer in my scrapbooking for years but have fallen totally in love with the world of digital and hybrid scrapbooking. You will see many of my digital layouts now. I have a beautiful daughter and two wondeful grandchilden that are the subject of many of my layouts. I am from California currently living a fun life in Texas finding great opportunites to make memories to scrap. 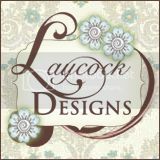 Come back often to visit my site to see what I have scrapped lately. Let me know what you think!!! 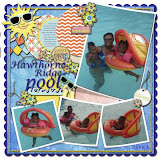 This is the personal blog of Ralene Berry and I am responsible for its content. All photos, images and such of this site are copyrighted by Ralene Berry unless otherwise noted. Ms. Rae's Custom Design ©Template Blogger Green by Dicas Blogger.